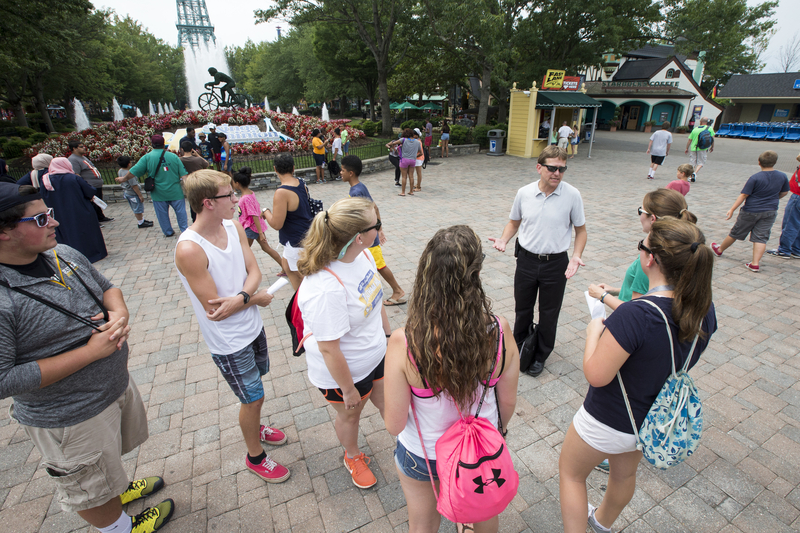 Physics professor Peter Sheldon speaks to SUPER students at Kings Dominion theme park – one of several field trip destinations during the program. For the first-year students enrolled in the Step Up to Physical Science and Engineering at Randolph College (SUPER) scholarship program, life at Randolph College has already begun. As part of the two-week, three-credit SUPER College Transition Program, 23 students are getting a head start on math and science courses and learning about the services offered by the College to help them succeed in their field. The scholarships have been funded for the last three years by a $600,000 grant from the National Science Foundation (NSF)’s Scholarships in Science, Technology, Engineering, and Mathematics (S-STEM) program. Randolph physics professor Peter Sheldon started the SUPER program as to make college more accessible for math and science majors. “From the outset, we are preparing the students for a career in science, so we’re making sure they stay on track in order to be successful in college and in a career in science,” he said. This year, one of the themes of the program is vehicle accidents and the physics behind crashes. For one lab test, students are placing eggs in plastic, toy cars for crash simulations and attempting to prevent them from breaking on impact. For a more realistic simulation, the group visited the Institute for Highway Safety, where students observed live crash tests involving real vehicles. SUPER students ride a rollercoaster at Kings Dominion. Another element of the program has been practicing the methods of measuring speed and velocity. Students have been launching projectiles on front campus and clocking them with high-speed cameras. 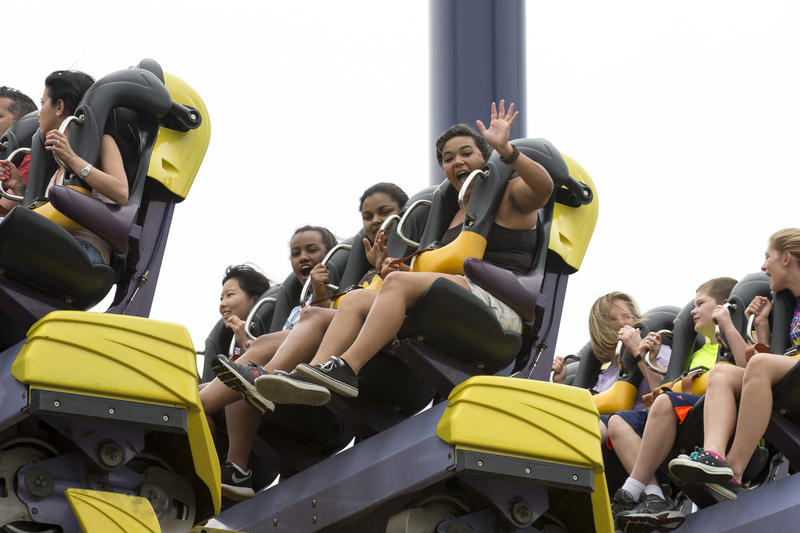 This week, the group visited Kings Dominion theme park in Doswell, where students calculated the top speeds and other statistics for some of their favorite rollercoaster rides. After completing the Summer Transition Program, first-year SUPER students participate in seminars, study halls, and other activities throughout the fall and spring semesters. The program also helps students find STEM internships and connects them with professionals in the engineering and science field who serve as industry mentors. A new addition to the program this year is a student mentorship component that will link older Randolph students with the first-years. SUPER has shown its effectiveness in preparing students for the rigor of college, but also in keeping them interested in the science fields throughout their education. SUPER students asked questions about internships and learned how to write resumes during a College Transition Program session.